I've got a few colours from the Maybelline Colour Tattoo range, but I just haven't really reached for them as much as I thought I would. I recently did a post on the Creamy Beige Colour Tattoo from the latest Leather Effect range which I have been reaching for a lot. But since then, I've also been reaching for On and On bronze. 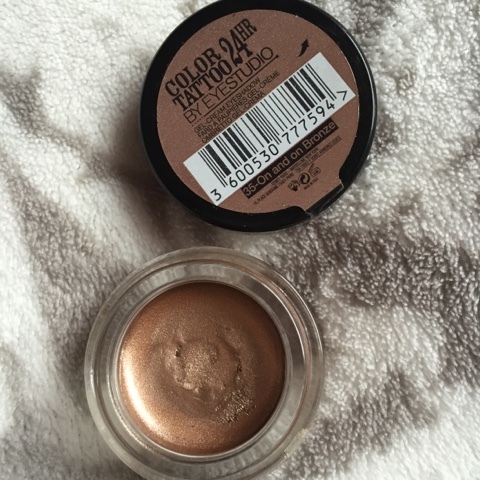 This colour can easily be worn by itself or teamed with any neutral/warm eyeshadows. I love that these last so long, even on oily eyelids like mine. They're quick and easy to wear and good for those of you who have 5 minutes to run out of the door. 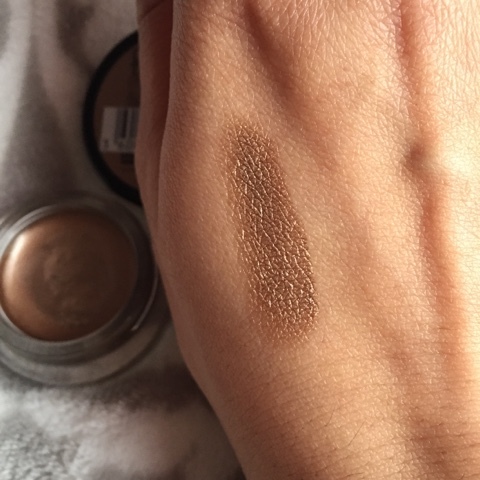 The colour looks quite bright when swatched but it's definitely wearable during the daytime! I like to wear this with layers of mascara, I rarely wear it with a winged liner, but I will slightly tightline my upper lash line to make my lashes look thicker. They cost £4.99 at boots and last a really long time! I've had mine for a while now and it still hasn't dried out. I would love to know what your favourite Maybelline Colour Tattoo is!